To think of how many individuals come and go in and out of every government building in just one day is literally mind-boggling. Now imagine each of those individuals coming into contact with a type of bug or rodent that spreads disease. Further imagine them coming into contact with a pest that travels easily, from one location to another, on a person themselves or in the belongings of an individual, (i.e. bags, coats, purses, or other possessions) that they carry back and forth every day. Try to picture some of New York’s most iconic government buildings having an uncontrolled pest infestation. You can see how infestations in government buildings could cause problems of significant magnitude not just for the building itself, but for those who come and go daily. Not only employees and clients but the general public would be severely affected. PEST can help put a stop to those problems. The most common pest infestations for government buildings are these: Termites, rodents, millipedes, lice, flies, cockroaches, wasps and bees, bed bugs, and ants. Government buildings can include all of the following: Prisons, post offices, police stations, state capital buildings, meeting houses, fire stations, municipal buildings, courthouses, federal buildings, city halls, and more. Areas of these buildings that are most commonly affected by pests are as follows: Vehicles for transportation, courtyards, exterior conduits, dumpsters, restrooms or locker rooms, meeting rooms, and cafeterias. Why Do You Need Government Building Pest Control? Pest infestations affect public health in a number of ways. They cause allergens, spread disease, and contaminate food among other things. The CDC says that there is a significant risk to the well-being and health of the public when exposed to the mice, rats, and cockroaches that may exist in establishments such as government buildings. Though health and sanitation concerns are real, some pests can also be responsible for property damage of a structural nature. The result of this can prove to be anything from inconvenient to exceedingly costly. The problem of pest infestations in government buildings can also lead to poor employee productivity and morale. A proactive approach to controlling pest infestations is essential to ensuring safety, health, and sanitation in government buildings. 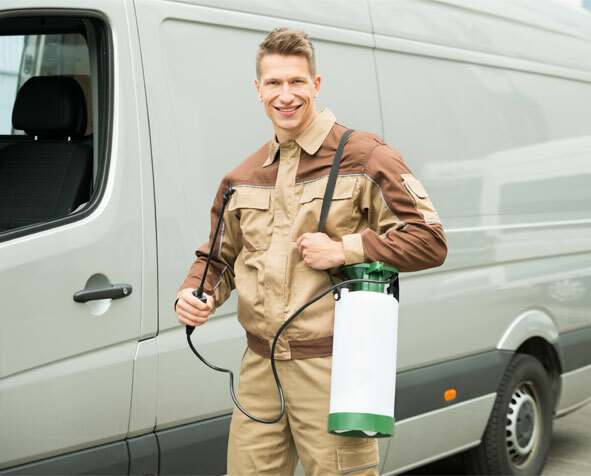 PEST has professional, specialized plans for pest control which work to address not only threats that are currently in existence but to find the reasons why pests became a problem in the first place – information that is crucial in stopping further infestations. Why Choose PEST for Government Building Pest Control Services? The knowledgeable and experienced team at Pest Elimination Systems Technology, Inc. understands that government facilities are required to adhere to health codes and regulations that are strict, to say the least. They must ensure sanitary conditions and the safety of the building’s visitors and occupants. Our technicians are qualified and educated regarding the guidelines needed and used for federal governments to maintain compliance. If you would like to set up an evaluation of the premises and a treatment plan to rid your government building of a particular pest infestation, call 212.945.0868 or email us today. We have nighttime as well as daytime hours of dependable, environmentally safe pest control services available.